Thugs who went on the rampage on board a train – beating up passengers in a series of “unprovoked” attacks – are being hunted. Police want to trace three men after one passenger suffered a broken nose and another lost a tooth after being battered by the trio on the Sunday morning service. 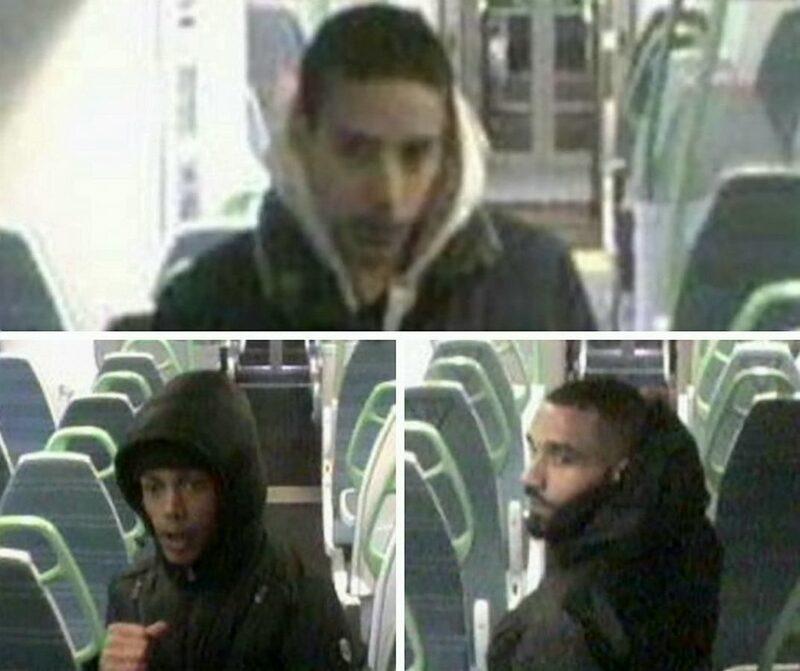 Detectives have released CCTV images taken on the train at the time of the incidents between Tulse Hill station in south London and Tattenham Corner station in Surrey at around 7.45am on Sunday February 10th. A British Transport Police (BTP) spokesman said: “Three men are reported to have been involved in attacks on a number of passengers. “One man had his tooth broken after being punched in the face. A second man suffered a broken nose. He said anyone who witnessed the incident, or who knows the identity of the men, should call BTP or Crimestoppers.